1 Princes Street, Edinburgh, Edinburgh. EH2 2EQ. 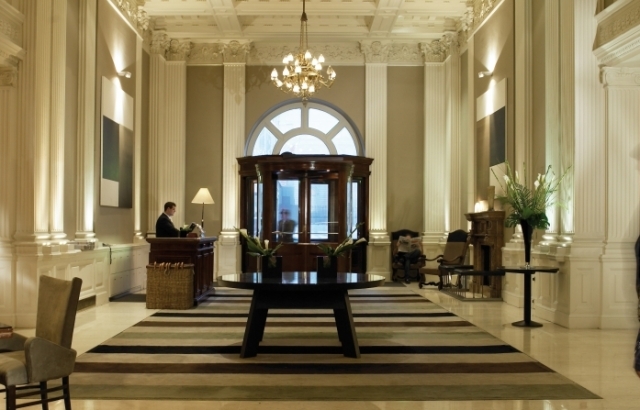 This luxury 5* hotel with the best address and most commanding position with clock tower commanding the skyline of Edinburgh, No 1 Princes St, exudes quality and traditional style. There is more than tradition here. Olga Polizzi has superbly managed to design and marry a modern contemporary style with the best traditional features of this hotel built in 1902. 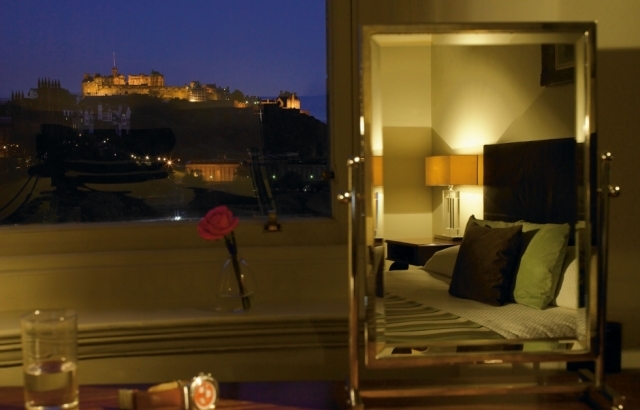 Many of the bedrooms enjoy a world famous view the length of Princes Street taking in the Sir Walter Scott Monument, Princes Street Gardens, across to the Old Town and Edinburgh Castle. The welcome from the hotel’s concierge team and reception is an insight into the level of attention and care you will receive as a guest. 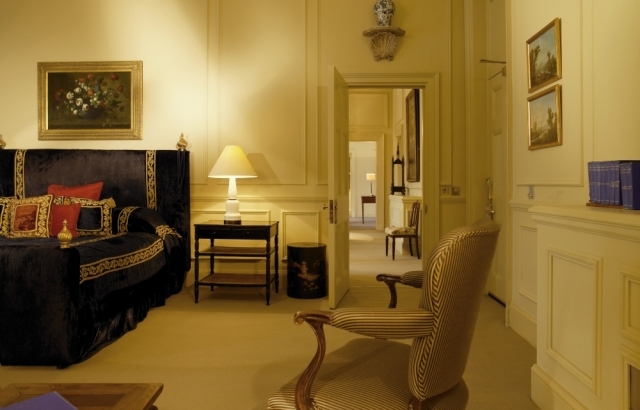 The rooms are sumptuous and Mrs Polizzi has created individual designs with the colour schemes depicting the soft hues of Scotland’s countryside. 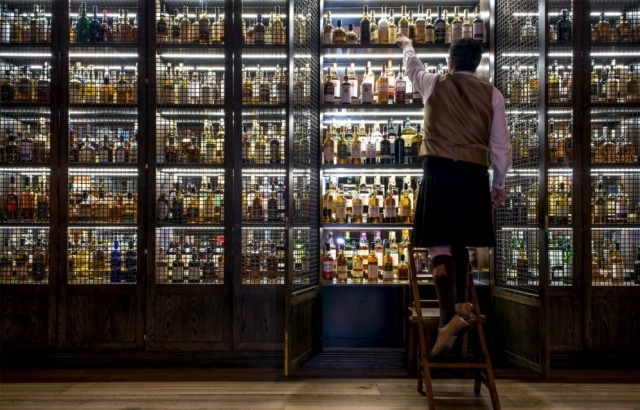 The bars offer an excellent range of beverages, the Scotch Bar as you would expect, offers a magnificent range of around 500 single malts. 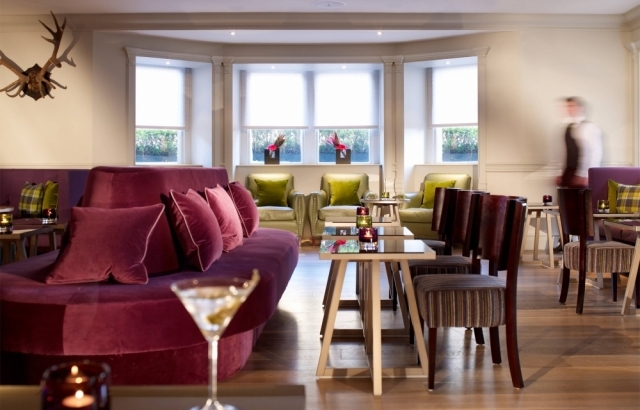 The Balmoral Bar offers a wider range of drinks and in particular an excellent menu of gins. There are smaller but welcoming bars at the entrances to the two restaurants. The two restaurants are different in style. Hadrians Restaurant is the more relaxed of the two with a fine menu with plenty of choice at affordable prices featuring some of Scotland’s finest produce. The famous Michelin Starred No.1 Restaurant, is a beautiful room that serves the very finest food you will find anywhere. 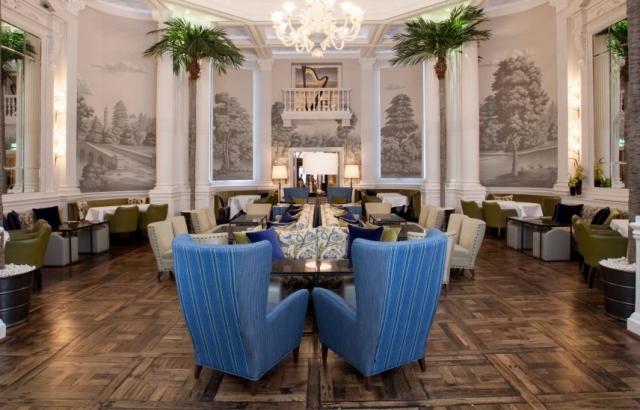 The Palm Court is an amazing circular room adorned with hand painted Degournay wallpaper depicting local scenes, enjoy a feast of afternoon tea and a glass of Ruinart Champagne whilst often being entertained by a harpist or pianist. 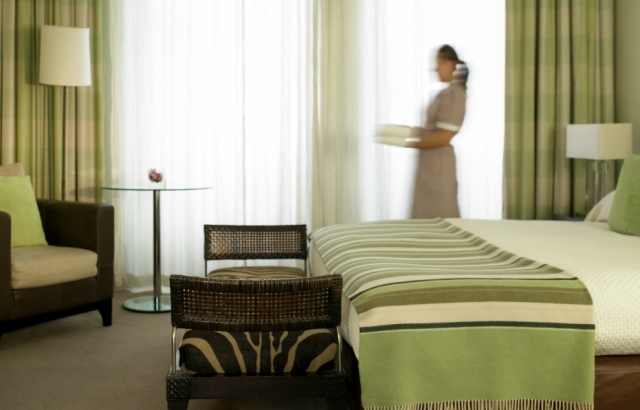 The Spa is a wonderful place to relax and unwind in the hotel’s 15m pool, well equipped gymnasium and 5 treatment rooms as well as a sauna and steam room. If you are wanting to enjoy a relaxing time or a top-rated event, then The Balmoral has everything you could wish for at the highest possible level.